William Bruce Davis was born on January 13, 1938 in Toronto, Ontario, Canada. He began his acting career at age 11, when his older cousins needed a boy actor for the murder mystery they were staging for their summer theatre. Work in stage and radio followed. While at the University of Toronto where he graduated in 1959 with a degree in philosophy he turned his attention from acting to directing and continued down that path for the next twenty years. He spent a formative year at The London Academy of Dramatic Art in Britain before beginning several intensive years directing in British Rep, from Colchester to Dundee where he was artistic director for a year. An active career in Canada followed, directing in many regional theatres and becoming the founding Artistic Director of Festival Lennoxville in Lennoxville, Quebec. While continuing to direct and teach he returned to acting in the late seventies, based primarily in Toronto, before moving to Vancouver, BC, in 1985. In 1989 he opened the William Davis Centre for Actors' Study in Vancouver. 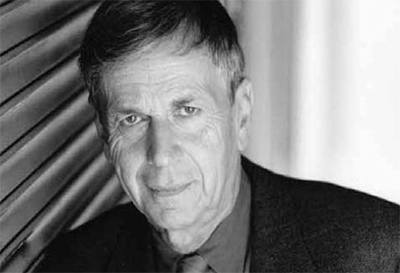 Beginning in the mid-nineties acting began to dominate his working life highlighted of course by the iconic role of The Cigarette Smoking Man. While continuing to act he has recently returned to directing and in 2011 published his memoir, Where There’s Smoke.... The Musings of a Cigarette Smoking Man. An avid water skier and competitive snow skier Davis attends fan conventions around the world and gives talks on skepticism and climate change. In September 2011, he married the lovely Emmanuelle Herpin and now divides his time between Canada and France.